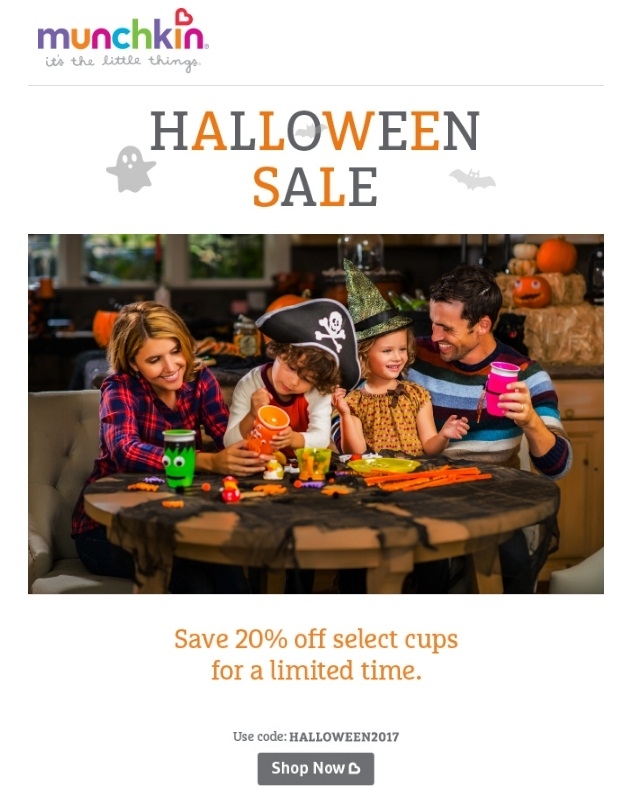 Johanny Moreno 20% off savings offer is valid on select cups and on Munchkin.com only. Must use code HALLOWEEN2017 at checkout. Offer ends at 11:59 PM EST on 10/31/17. All offers subject to change without notice. Valerie Alvarez This deal was tested and worked as described. Add indicated products and enter the code at checkout to get the discount. 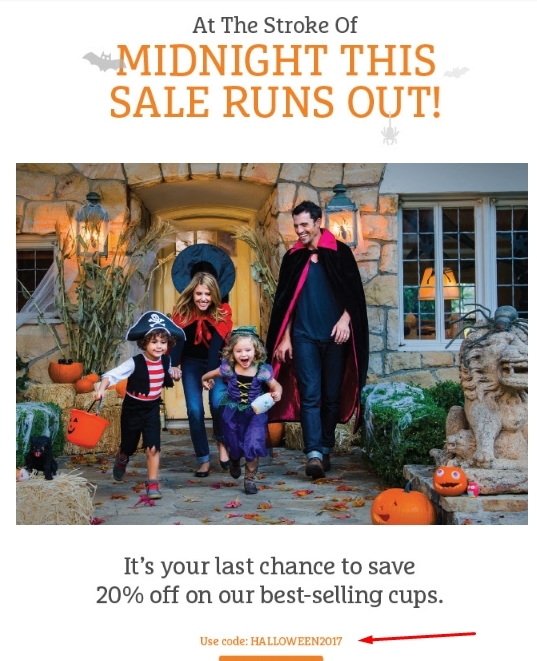 Autumn Eaton 20% off select cups under Halloween Sale section. Just add items to cart, enter promo code at checkout and discount will be applied. Ends 10/31/17. Gregorio Clavier This promo code is working perfectly fine. Put the items in your cart, go to checkout and apply your code to get the discount. Ibraim P. Simply get into the link below, add to the shopping cart the item(s) that you want, apply this promo code during the checkout process and get 20% Off Select Cups today. Offer expires 10/31/17 at 11:59 PM EST. Some exclusions may apply. See screenshot for more details. All offers subject to change without notice.